Tell your kids and students they are One Smart Cookie to start the School year off on a sweet foot! 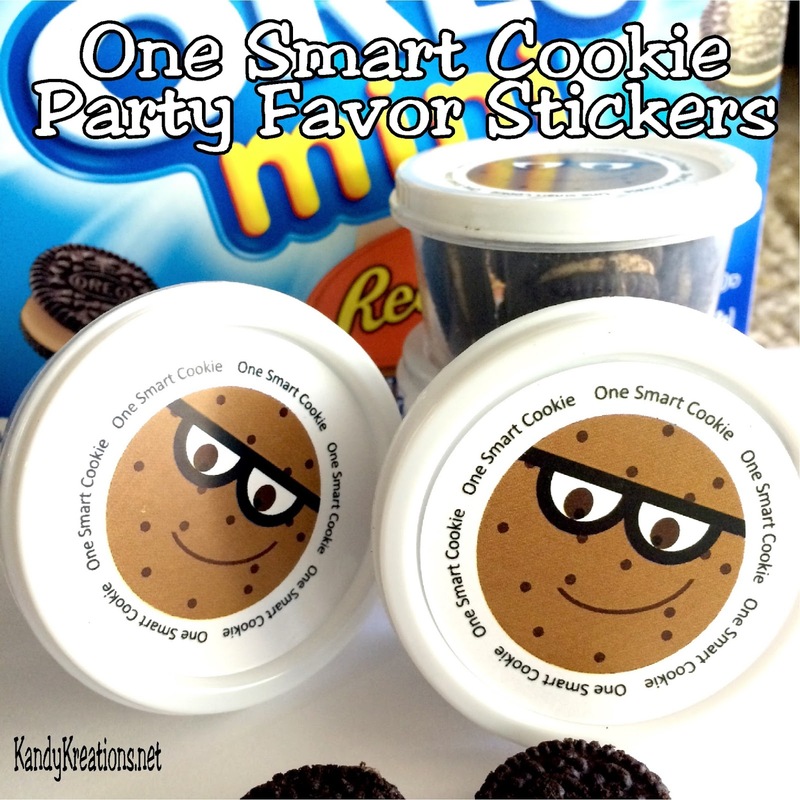 These 2 inch printable stickers have a fun chocolate chip cookie face with the greeting "One Smart Cookie" around the outside allowing you to create easy party favors for your next Back to School party. I love the idea of having a back to school family dinner party with the kids the night before school starts. It's a fun way to kick of the new school year and have the kids not completely dread the start of a new school year. Because I need another reason to have cookies at the party, I created some One Smart Cookie 2 inch stickers as party favor treat holders for our family dinner. I ran to Dollar Tree (don't you just love all their possibilities for cheap party favors?) and picked up a package of their round 2 inch plastic containers. You can usually find them back in the kitchen container aisle in a pack of 10 for $1.00. I also picked up some Mini Oreos. 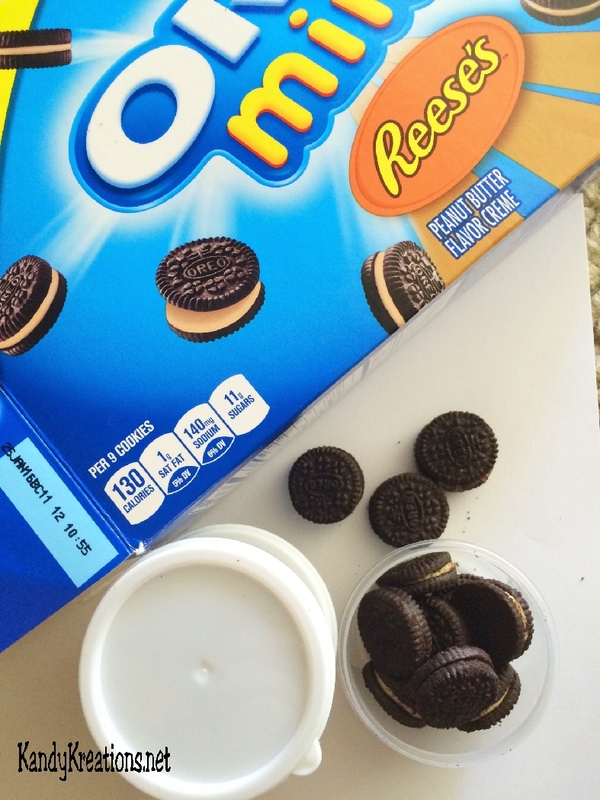 I decided to try the new Reeses flavor, but you could get the traditional mini oreos or even the new Mint mini oreos. You'll just need a small cookie that you can fit several of into the 2 inch containers. I also picked up a package of Avery Easy Peel Permanent Print-To-The-Edge Round Labels. 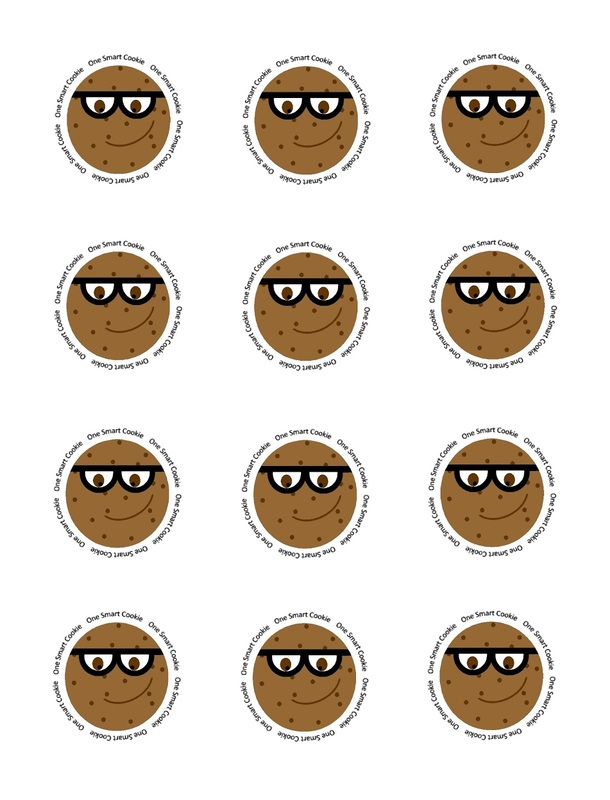 I never have much luck printing using the templates, but in case you do, the One Smart Cookie sticker printable below is designed to fit on these labels. Start by filling each container with the mini Oreos. 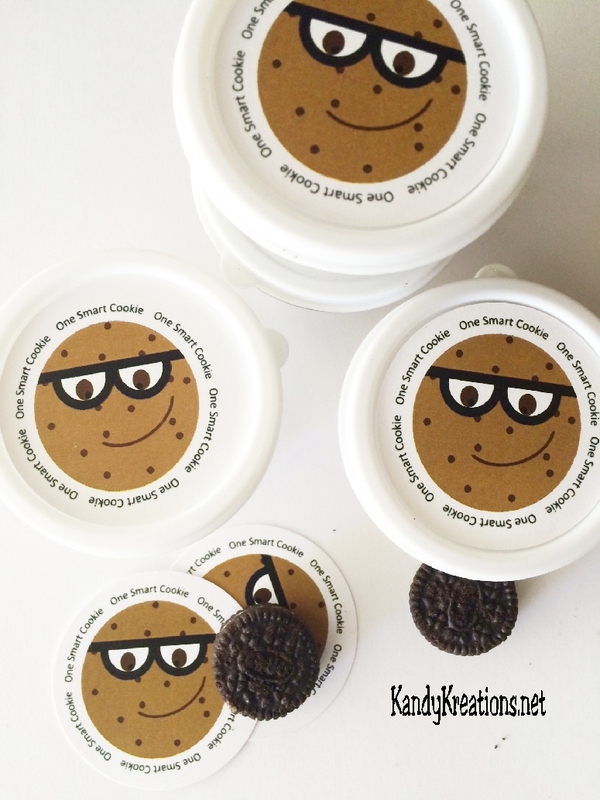 I was able to fit about 12 mini oreos in each party favor box. If you were able to use the stickers, AWESOME! 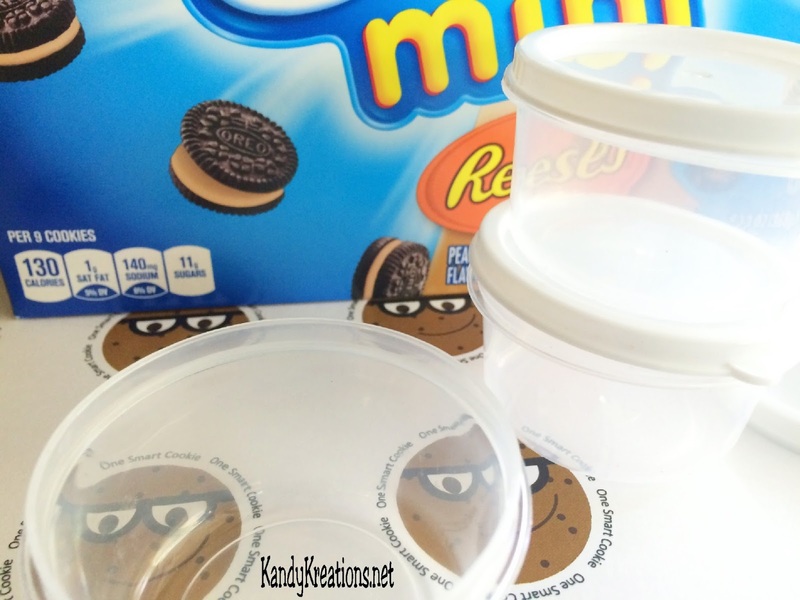 Just peel them off and stick them on to the center of the containers lid. If not, then use a 2 inch hole punch to cut out each sticker circle and add a little glue to the back to secure it to the container's lid. 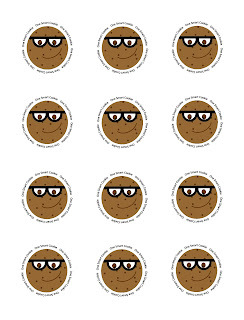 Here's the 2 inch Sticker Printable if you want to download and save it to make a few One Smart Cookie party favors for your Back to School party. If you make some, will you swing by our Facebook page and share a picture? Or tag me on Instagram with your party favor boxes! I'd love to see how you use them.